How is U.S Postal Service Making its Mail Delivery Greener? 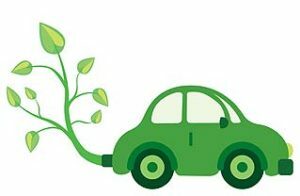 US postal service own around 40,000 vehicles that are compatible with alternative fuels for greener mail delivery. They are proud to have biggest civilian vehicle fleet in the country. These vehicles make use of electricity, ethanol, compressed natural gas, bio-diesel, liquid propane, and hydrogen fuel cell. The use of alternate fuels increased by 133 percent since 2005. The company made use of the first electric vehicle in the year 1899. Now, they own around 20 electric vans to ship the letters to various processing facilities located in New York City. Additionally, they also own around 35 delivery vehicles which use propane. They also deliver mails using three-wheel electric vehicles in cities like Florida, Arizona, and California. 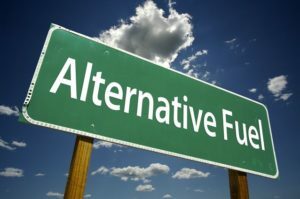 Since the company mainly refuels at various commercial retail fueling facilities, the demand for alternative fuels increases nationwide. They highly invest in vehicle technology and work together with General Motors to test the GM HydroGen3 fuel cell minivan for delivering the mails in the metro area and Washington, D.C. They are the first company in the country to use fuel cell vehicle. Apart from fuel cell vehicle, they put the effort in other vehicle technology that is recognized as zero emission vehicles. Some of them are advanced diesel vehicles, electric CitiVans, and hybrid electric vehicles. USPS is committed to reducing the pollution on the environment, so they strive to improve the sustainability of their energy facilities. They put in lots of effort in inculcating environment awareness among their customers and employees. The company also continues to improve their standards and processes to design, and operate sustainable and efficient facilities that are cost-effective. Throughout the history of USPS, they have utilized innovative modes of transportation that provides reliable and prompt universal mail delivery. Currently, the company owns one of the largest civilian government fleets in the world with more than 200,000 vehicles. They travel around 1 billion miles every year. USPS constantly looks for the different ways to reduce the energy consumption and environmental impact of its fleet. The U. S. Postal Service makes use of energy to transport, process, and deliver the mail. Sustainable energy management is essential to the Postal Service mission. They spend around a billion dollars on energy and fuel for facilities and its vehicle every year. Sustainable energy consumption is their important business concern. To overcome this concern, the Postal Service is driven to reduce energy use to reduce the usage of greenhouse gases that come from burning fossil fuels like petroleum. This Strategy of energy consumption is applied to all operations including vehicle, fuel, utility management and facility. The Postal Service has committed to making use of sustainable packaging. Their packaging is recyclable as well. They encourage their packaging manufacturers to make use of the certification standard – a life cycle assessment process for packaging. They are also committed to the use of recycled content materials for their packaging. These materials extend the life of our valuable natural resources thus reducing impacts on the environment. They deliver the mail in the most efficient way possible to save the energy. One-third of the deliveries are made on foot. Previous Article What is a “Your Mailbox Needs Attention” Form (PS Form 4056)?